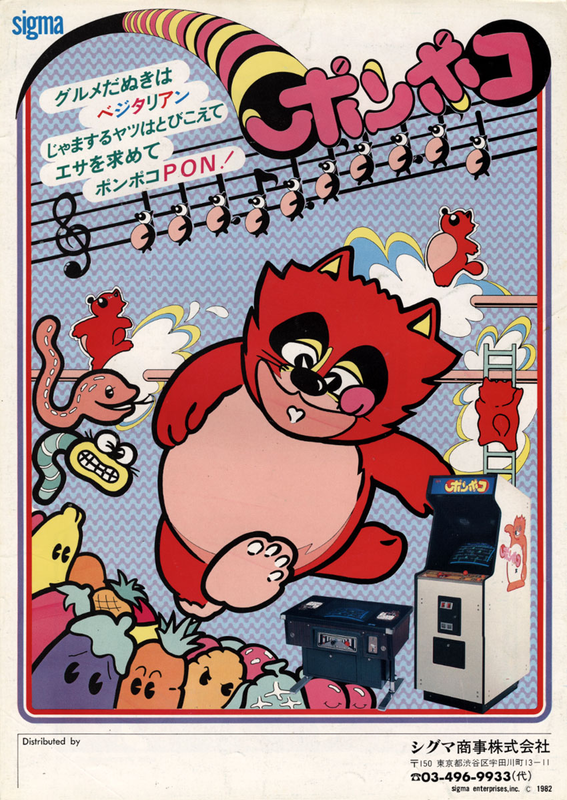 Ponpoko is a 1982 arcade game released by Sigma Enterprises. It is a platform game similar to Donkey Kong and Mario Bros.. In Ponpoko, the player controls a Tanuki, a Japanese raccoon dog, that can climb ladders, walk across floors and jump over gaps while trying to avoid red and yellow snakes. The player must collect all the fruits and vegetables in order to advance to the next level. There are also baskets that contain either snakes, fruits, vegetables, or other bonus items.